The Sony Vaio Pro 11 SVP121M2EB.G4 has been designed to be a marvelous combination of high performance and extreme portability. As such, this 11 inch machine weighs 0.86 kg, but sports specs that would look at home on a bigger Ultrabook. A Full HD IPS display is available for this machine, even on the basic model of the configuration options. There are a few ULV options of Haswell processors, and graphics are handled by integrated Intel chips. An SSD drive and 4 GB of RAM round out this tiny powerhouse. The oh-so thin body is made of carbon fiber, which should be sturdy enough for rough hands. Ports are well chosen on the limited space, with two USB 3.0 ports, a full-sized HDMI interface, a 3.5 mm combined audio jack and an SD card slot. Users will be able to connect to bigger displays when necessary with less of a hassle in finding the right cable. A nice feature of the power adaptor is that it sports a USB 2.0 port, very handy for charging smartphones and other devices. The size of this device leads to a necessary cramping up and paring down of the backlit keyboard, but most light to moderate tasks should be comfortable. Those who type much more have issues with comfort. With full power saving measures, the battery will reportedly last up to 10 hours. Overall, this machine is fast and light (5 seconds boot time!) and well thought out. With a price range that places it on equal footing as the competition, Sony have made the Vaio Pro 11 SVP121M2EB.G4 one that stands out where it counts. Positive: Light; long battery life; high quality materials; backlit keyboard; good speakers; touch screen; decent price. Negative: Touchpad; glossy surface of the screen. The Sony Vaio Pro SVP1321X9EB is extraordinary, primarily for one reason: It is a 13.3 inch laptop with only 1 kg. It is the lightest ultrabook this size or performance. So, it is absolutely ideal for travel and working on the go. 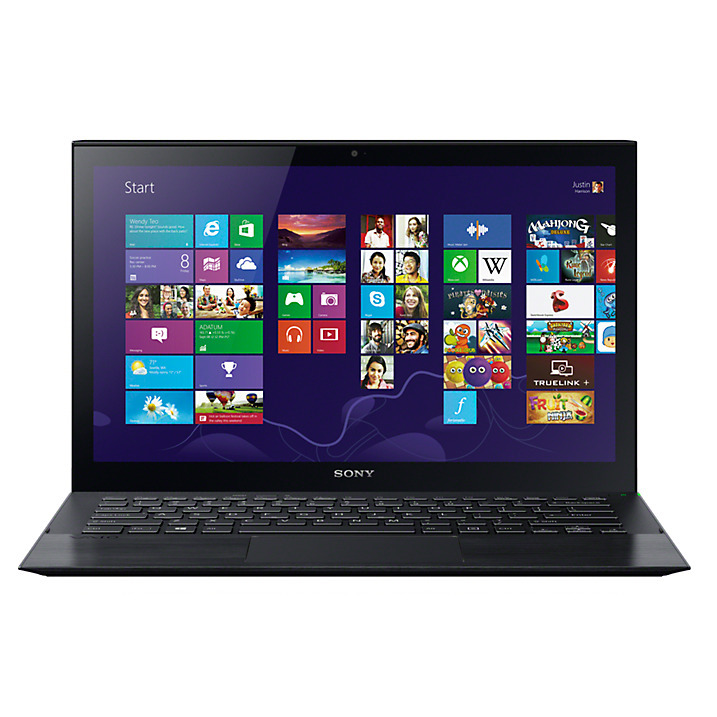 The Sony Vaio Pro SVP1321X9EB features an Intel Core i7 4500U with 1.8 GHz and an integrated Intel HD Graphics 4400. Resolution of 1920 x 1080 pixels is respectable and images look vivid on its glossy display, which hinders working in the bright outdoors or with too much overhead lighting. The only other con is that it gets a little noisy while running processor intensive tasks. But, it is elegant and slim and features a great battery life. The touch screen is one of the best in such a device. Casual gamers will be satisfied, and most modern games should be playable with lowest resolution settings. Because of the built-in hardware the Sony Vaio Pro SVP1321X9EB is not ideal for intensive use. However, those travelling a lot and needing a machine for word processing, web browsing, casual to moderate gaming and most moderately intensive tasks required for work and play, can not find a better one than the Sony Vaio Pro SVP1321X9EB with only 1 kg. Positive: Thin and light; beautiful appearance. Positive: Light weight and slim design; quality IPS display; long battery life Negative: Noisy under high load; glossy screen. Positive: Lightweight; good touchpad; solid keyboard with backlight; affordable configuration possibilities. Negative: Mediocre stability; battery life; reduced performance in long-term load. 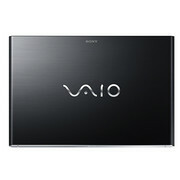 The Sony Vaio Pro SVP1321L1EBI.G4 is a 13.3 inches device with a height of just 18 mm. Weighing in at just 1 kg, it is also one of the lightest laptops of this size. The body is made from black carbon fiber with dark brushed metal on the palm rests. The rear side is pushed and brings the keyboard in a angle more comfortable for typing. 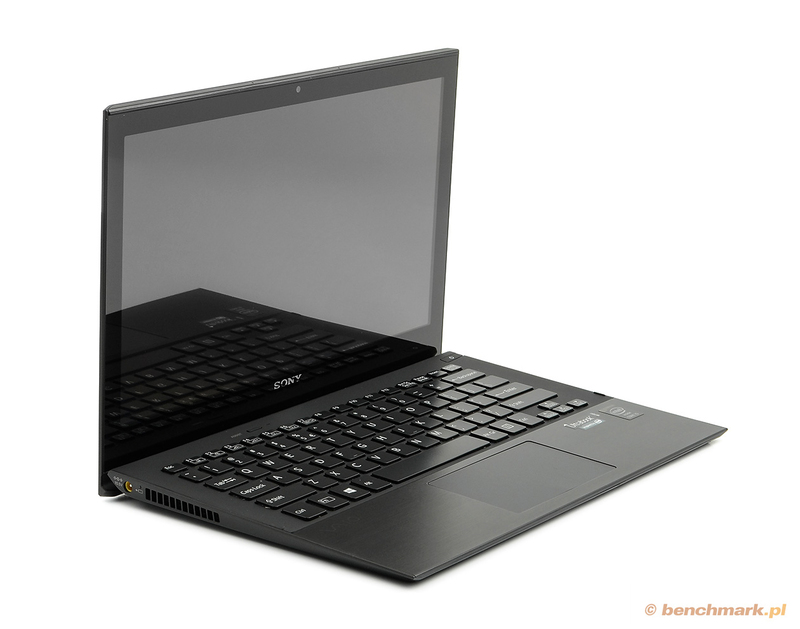 The Sony Vaio Pro SVP1321L1EBI.G4 shines in many aspects. The battery life of 6 hours of heavy usage is above other similar machines' out there at the moment. Under the hood, is the 1.6 GHz Core i5 Haswell processor with 4GB of RAM and the 128 GB SSD. Performance will suite a mid-range user with these specs. Booting into Windows 8 is suggested to take about 9 seconds, which belongs to the fastest Windows 8 boot times. The display has a resolution of 1920 x 1080 pixels, but the Sony Vaio Pro SVP1321L1EBI.G4 is equipped with integrated graphics. To sum it all up, this laptop provides reasonable hardware and a touchscreen functions to match Windows 8, but it is not cheap. It might be an alternative to other Windows 8 laptops but fails to provide strong pros for possible buyers. What makes for a good laptop is going to be a somewhat subjective discussion. Some users want high performance, others want the ability to play games, and some want excellent mobility – meaning, good battery life and low weight. The Sony VAIO Pro 13 falls firmly in that last category, with some of the best battery life results we've ever seen – especially for a Windows laptop. WIRED Record-setting boot time. Fast, bug-free operation. Epic battery life. Incredibly thin and light. TIRED Screen is a bit wobbly, a problem when using touch. A bit noisy. Way too much Sonyware pre-installed (which, among other things, breaks Windows system recovery). The Sony VAIO Pro 13 shows that you can make laptops lighter and thinner when you use a fourth-generation Intel Core processor. It's very good, though Sony really needs a grand slam to distance itself from similar rivals. Positive: Light; long battery life; high quality materials; backlit keyboard; good speakers; touch screen; decent price. Negative: Touchpad. 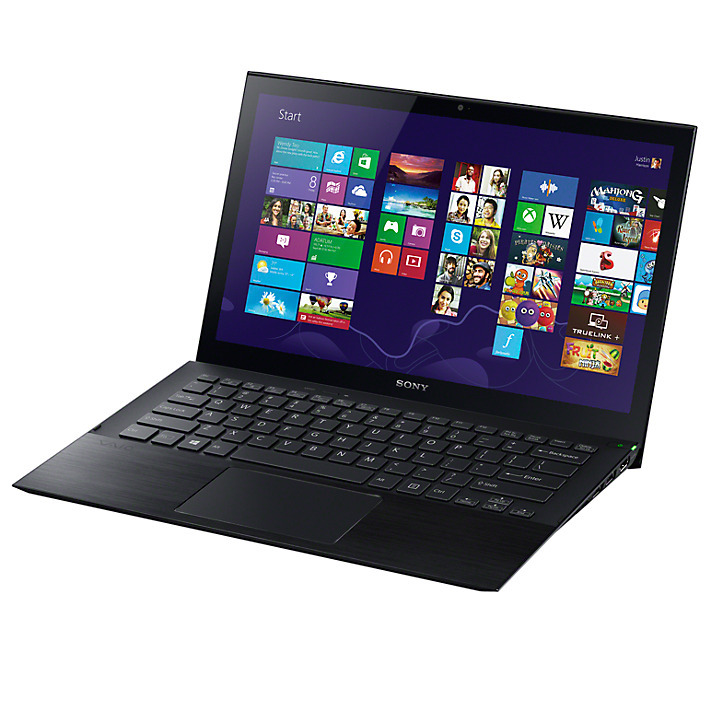 The Sony Vaio Pro 13 SVP-1321C5ER is an Ultrabook that's stylish and eye-catching. This slim, carbon fiber machine may not have the power to run demanding games, due to its integrated graphics card (Intel HD 4400), but it should be able to handle most users needs with ease. Several different configurations are available, but the SSD and the Full HD IPS display will bump up and improve the performance and look of any configuration chosen. The one problem that the SSD causes is a lack of storage. 128 GB may not be enough for some users. Ports may seem limited, with only an SD Card reader, a headset jack, HDMI out, and two USB 3.0 ports. The limited space available on this slim machine is possibly the cause. Weighing in at just 1 kg, this 13.3 inch machine fits in nicely with the definition of the Ultrabook. It is ultra light and ultra portable. This effect is enhanced by the battery life, which can last over 6 hours of moderate to heavy use. The machine is also available in a few eye catching colors. As has been the case with many of the slimmer machines that are out in the market today, when the lid is opened, it raises the keyboard up to give it a slight angle. This should enhance user comfort for typing. The island style keys are backlit. With all the specs considered, this is probably the most portable and attractive package, with the best hardware that could fit. Overall, a great machine for those looking for a premium, portable machine for work, and less demanding play. If you are looking for an ultrabook, you can consider the Sony Vaio Pro 13 and you will get everything you expect from an ultrabook. In addition to a slim and lightweight design, the Sony Vaio Pro 13 is also reasonably priced to compete with MacBook Air. With a screen size of 13.3 inches, the Sony Vaio Pro 13 is about 0.2 kg lighter than the KIRAbook, Toshiba's pride today. 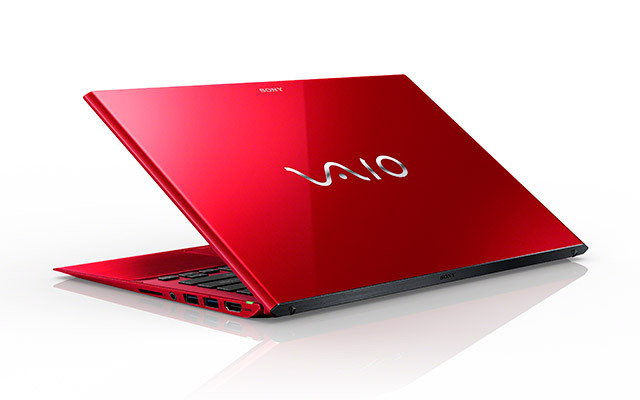 Since it only weighs 1.06 kg and is only 18 mm thick, the Sony Vaio Pro 13 is easily one of the slimmest ultrabook available on the market. It features the latest Intel Haswell Core i5, 4GB RAM and 128GB SSD and so offers a solid performance without doubt. 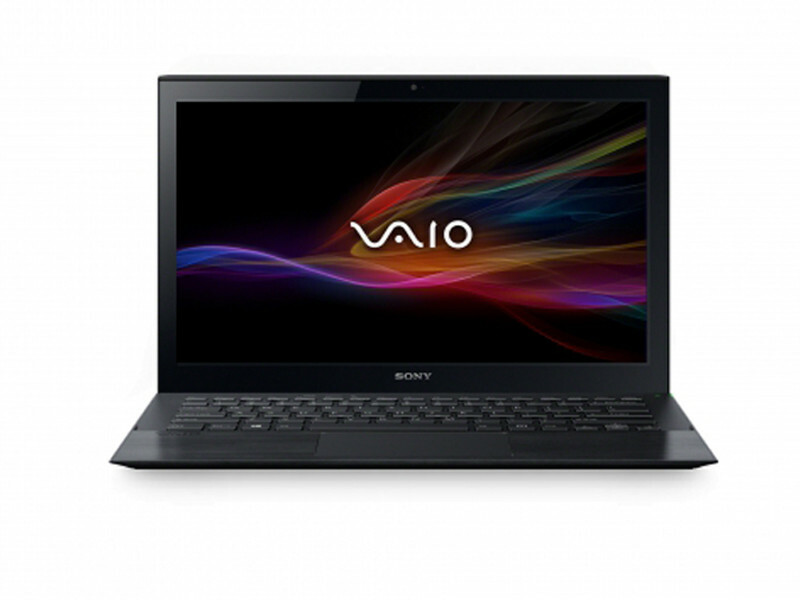 The Sony Vaio Pro 13 features 13.3-inch clear and crisp display with a resolution of 1920 x 1080. Its battery life is longer than most ultrabooks' available today. Sony claims that the Vaio Pro 13 has a battery life of about 6 hours of video playback on a full screen. Unfortunately, the Sony Vaio Pro 13 only comes with integrated graphics. So, the graphics performance is less impressive and it is unable to run demanding games. Otherwise, there are not too many shortcomings. In short, it can be considered as a perfect ultrabook for those who want portability yet without sacrificing processing power. 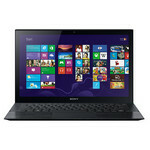 The Sony Vaio Pro 13 seems like a good choice for its price. Breaking new ground for a 13-inch touch-enabled Ultrabook the Sony Vaio Pro offers an incredibly light package but retains screen, keyboard and battery life quality that is often missing in this bracket. Sony slipped-up on WiFi reception quality though which really shouldn’t be this bad at this price-point. A gimmicky Ethernet router dongle doesn’t do much to help the situation. The WiFi issue will be a deal-breaker for many. It’s good to see a full HDMI port and a full SD card port though and if you’re working away from power the additional battery is going to allow up to about 18 hours of activity time. The Sony Vaio Pro 13 is a quality bit of engineering and a prime example of how small and efficient a Haswell-based Ultrabook can be. Positive: Very thin and very light; great look; impressive battery life. Negative: Very noisy under load; slightly flex keyboard. Positive: Thin and light; good appearance; impressive battery life. Negative: Very noisy under load; flexy keyboard. 86.13%: This is a good rating above average. Nevertheless you should not forget, that 10-15% of all notebook-models get a better rating.» Further information can be found in our Notebook Purchase Guide.